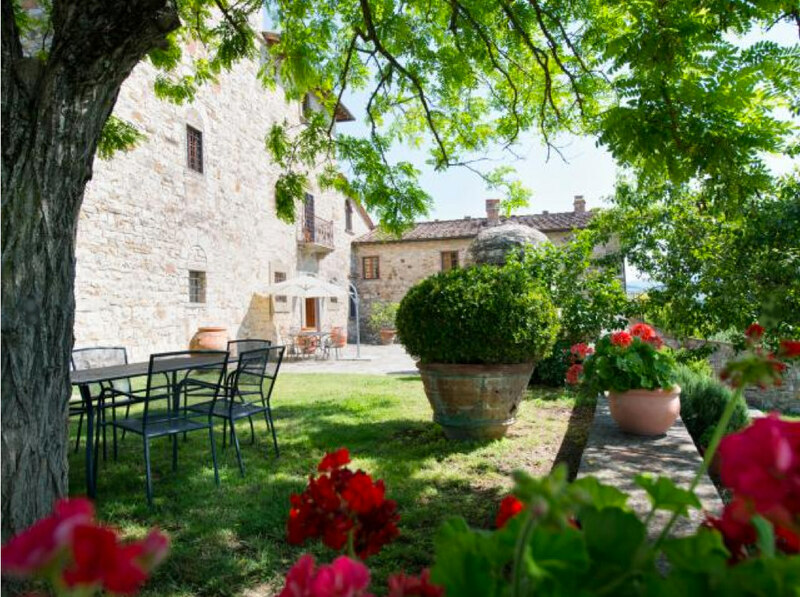 Tour the 467-year old villa Michelangelo in Chianti, bought by the Renaissance master in 1549. 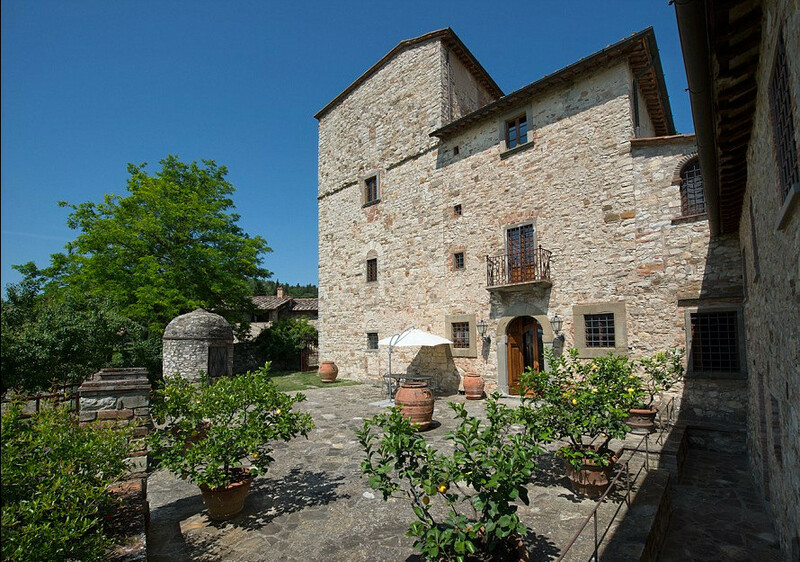 Fifteen years before his death — and 37 years after he finished the frescos in the Vatican’s Sistine Chapel — Michelangelo Buonarroti, one of the greatest Italian Renaissance painters and sculptors, purchased a typical Tuscan stone villa in the hillside town of Castellina in Chianti, between Florence and Siena. 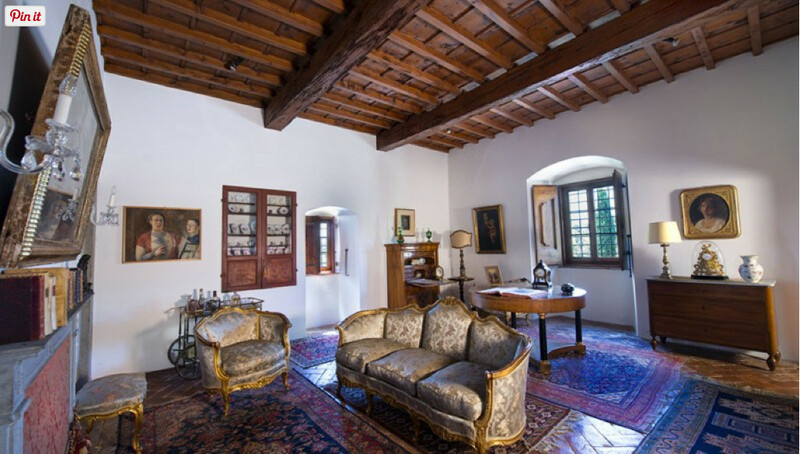 The Tuscan wine country property remained quietly in the Buonarroti family for the next 318 years until it was sold in the middle of the 19th century. Fast forward 149 years. The current owner has preserved and renovated the 8-bedroom, 7-bath villa and listed it with Handsome Properties International, of Charleston, S.C., for close to $8,500,000. 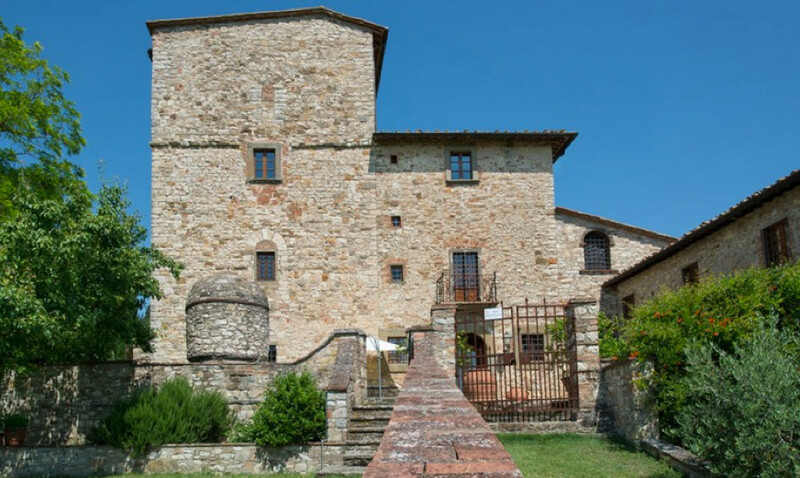 The eventual buyer will purchase spectacular views of the surrounding Chianti vineyards and hillsides from the 6-acre property, along with an old stone mill annex, olive and lemon groves, and the original deed. 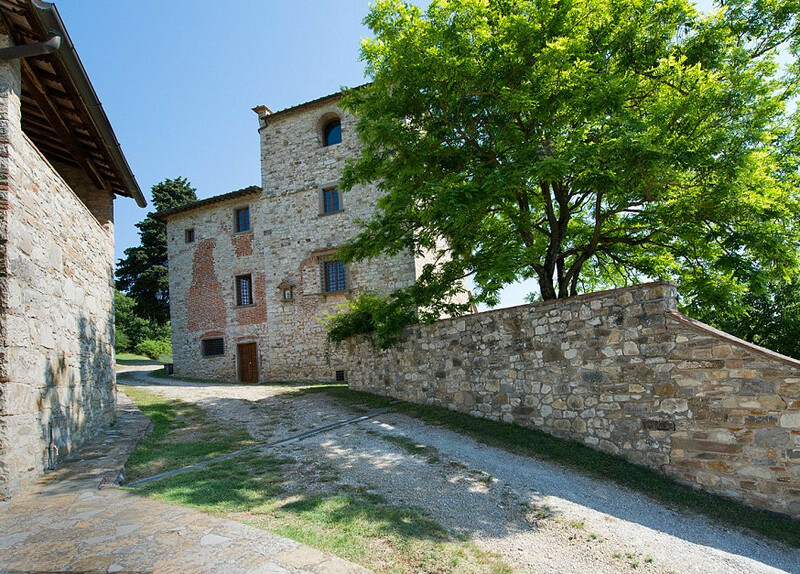 Several years ago I posted a tour of the Tuscan Dream Villa Mr. AM and I once rented a little more than an hour from Chianti. 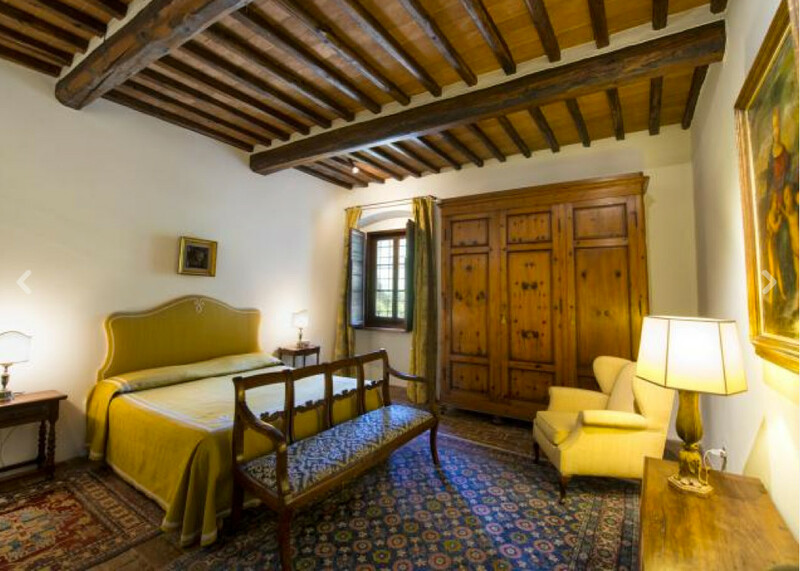 Most restored Tuscan houses share certain attributes — natural stone exteriors and terraces, white stucco interior walls, gorgeous wood beam ceilings and amazing curved barrel vaulted ceilings in the older sections and elaborate wood beam ceilings in the newer rooms. The Villa Michaelangelo has them all. In typical Tuscan fashion, cypress trees flank the villa which has commanding views of vineyards and hillsides. The main villa has a formal sitting room with quarry tile floor and an exquisite beamed ceiling. 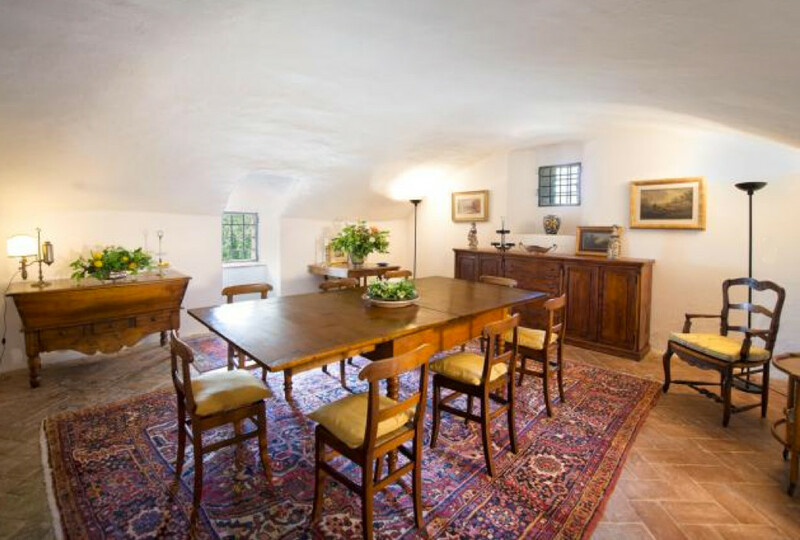 Furnishings in old Tuscan villas are often antique. In the dining room the vaulted ceiling has been covered with stucco. Walnut furniture is typical and always so beautiful. Sometimes, very modern furniture is used in these old houses and it also looks great. Tuscan kitchens are invariably rustic and I love them with all their quirks and imperfections. They are anything but modern. The villa kitchen has two ranges — one modern induction stove with a smooth top (left) and an older stove with simmer plates and its own chimney. I expect the older range has very good, but small ovens, which are useful for long, slow dishes Italians often took to the bakery in the old days. 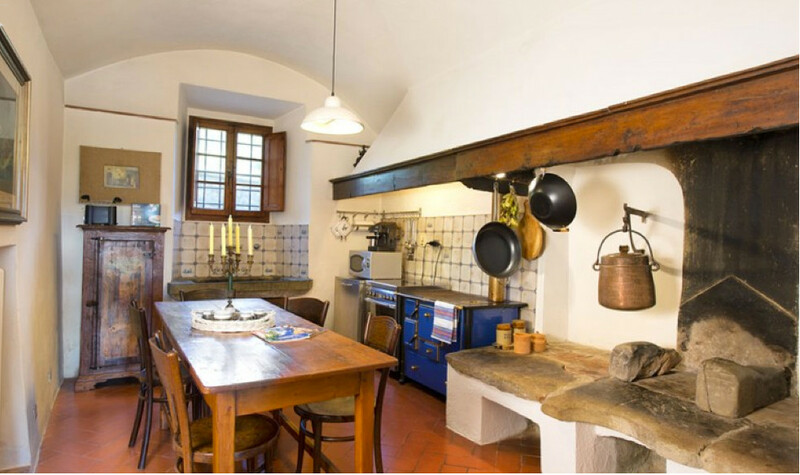 An open wood-burning camino, or fireplace, is typical in Tuscan kitchens. They build the wood fire in the back of the hearth and put a grate on top of the stone supports for open-fire cooking. Wood for the fire is stored in open spaces below the fireplace. Ancient Delft tiles are no surprise on backsplash areas. Also typical is a stone — likely marble — farm sink below the window. Bedrooms, furnished in the same traditional style, often lack built in closets — armoires are fairly standard. And windows are often small. In the back of the house, a large terrace has wonderful views for outdoor dining. Pots of red geraniums that are favored in this region as are outdoor luncheons under the trees. Judging from the windows, the old mill has been renovated and likely serves as a guest house. A ground floor entrance ushers you into the mill house sitting room. 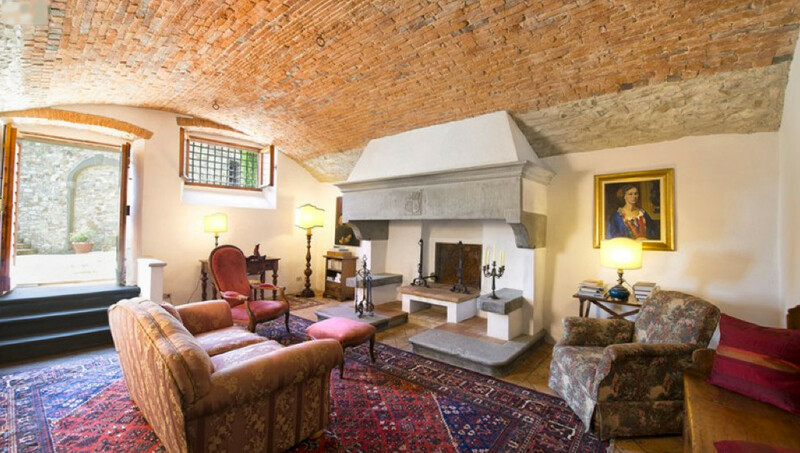 There, a typical Tuscan fireplace has a raised, open hearth and seating on each side (inglenook). The great chimney hood has been preserved as have iron rings in the original brick, barrel vaulted ceiling. No other guest house rooms are shown and the listing doesn’t include a floor plan. Too bad! As luxury properties in Tuscany go, Michaelangelo’s villa tends to be somewhat spartan, the kitchen hasn’t been upgraded and who knows about the bathrooms. Though hardly lacking in charm, it has an $8 million history.